The Thomas Hobbes Society was founded in Malmesbury in 1996 and included in the town council’s list of voluntary associations. It was relaunched as the Thomas Hobbes of Malmesbury Society (THoMS) in 2016 with Emeritus Professor Gregory Andrusz as its new chairman. 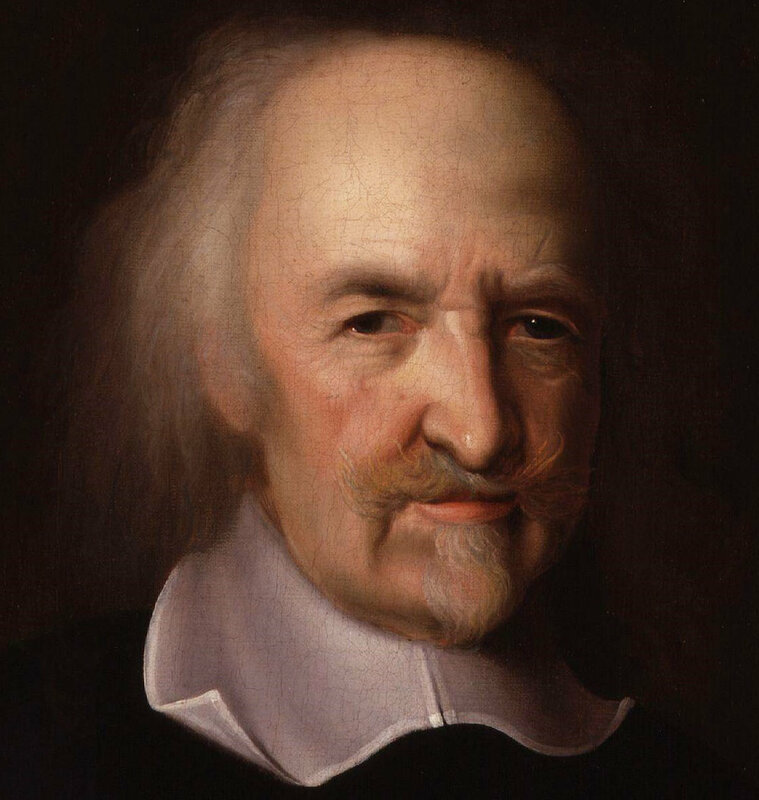 Its principal aim is to promote the discussion of the ideas of Thomas Hobbes, the historical context in which they were engendered and their influence on subsequent social and political theorising. This is to be achieved through the holding of two annual events. The first one is the Hobbes supper which takes place on the last Friday in November. This is a THoMS members only occasion. During the course of the supper a guest speaker is invited to give an informal 15-20 minute talk on a general theme associated with Thomas Hobbes and his period. The second event, which in 2017 took place on 7th October, will normally be held in late Spring or early summer and will from 2018 be an all day programme commencing with lectures and discussions on the life and philosophy of Thomas Hobbes by leading specialists on the subject. The evening will be given over to a miscellany ranging from performances of extracts from Jacobean and Restoration playwrights, whose wit and cynicism will be adapted to the modern world, to a performance of English baroque music or folk music played on period instruments in one of several venues in the town. Each year the speakers will talk and lead discussions on a specific theme as diverse as 'Similarities in the Thought of Thomas Hobbes and Niccolo Machiavelli', 'Thomas Hobbes on Sovereignty, Social Order and Civil Strife' and 'Hobbes's Insights into the Human Condition'.